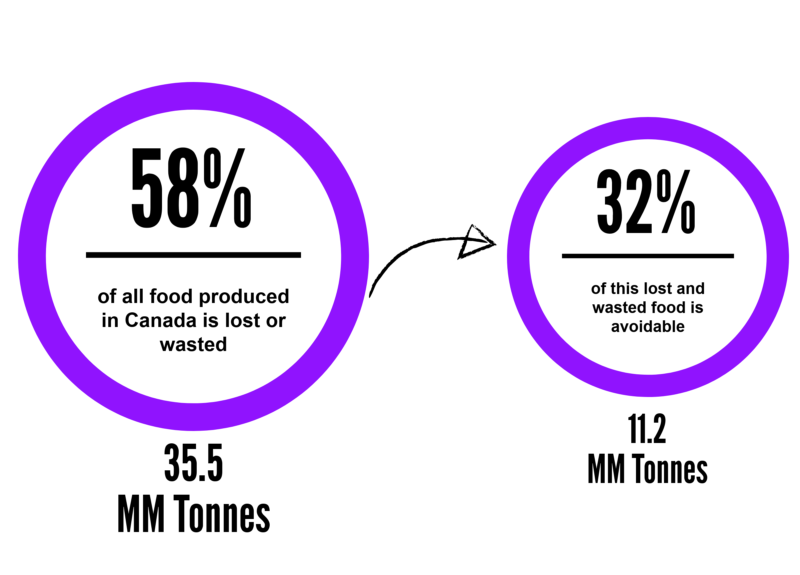 According to a new report (The Avoidable Crisis of Food Waste), over half (58%) of all food produced in Canada is wasted, and 32% of this wasted food is avoidable. This means that 11.17 million tonnes of food fit for consumption is ending up in our landfills. Previously, we had understood that households were responsible for the largest proportion of food waste, but this new report shows this to be incorrect. 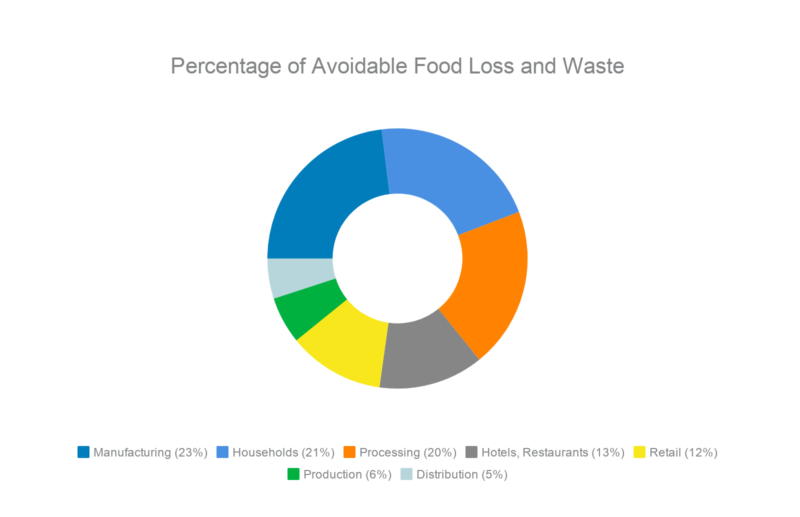 79% of avoidable food waste actually occurs in the food industry, and not in households. Food waste is a crisis! It is both unjust and environmentally unsustainable. There are 3.4 million Canadians living below the poverty line who could benefit from receiving this food. Resources used to produce, process, and distribute the food are wasted when we waste food. Not only that, the impact of food loss and waste on climate change would come as a surprise to most people. According to the U.N. Food and Agriculture Organization (FAO), food waste contributes 8 percent of global gas emissions. To put this statistic into perspective, if food waste were a country, it would be the third largest emitter of greenhouse gas emissions following China and the United States. From the farm to our fridges, food waste occurs at each stage of the food value chain (primary production on the farm, processing of food into items such as canned soup or tomato sauce, distribution to grocery stores, consumption in restaurants and households). How Can We Change the System to Reduce Food Waste? Create mechanisms for measuring food loss and waste. Currently there is no standardized system within the Canadian food industry to measure, value, and monitor food loss and waste (FLW). Without this, there is no way for industry to see the benefits of reducing FLW and therefore the status quo is viewed as easier and cheaper. Better communication from the government to increase food industry awareness of Food Donation and Good Samaritan legislation (which protects food donors from liability). Create a standardized system which makes food donation and redistribution easy, and identify infrastructure gaps preventing redistribution. 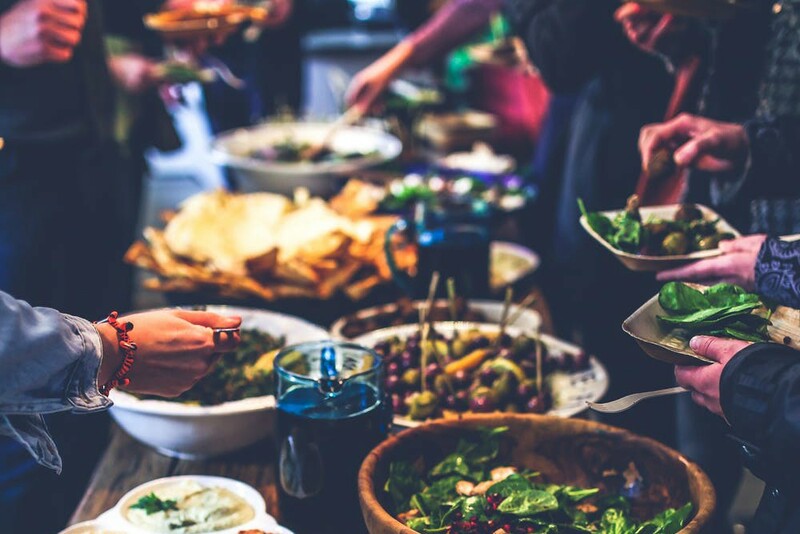 This would include a central communication system to connect food donators and rescuers, along with clear processes and guidelines of how to donate food. A great example of this is foodrescue.ca , a food rescue organization created by Second Harvest operating in Ontario. Education to increase understanding of best before and expiry dates, and when it is safe to consume and donate products past their best before dates. How Can You Reduce Food Waste at Home? Even though the majority of avoidable food waste occurs within the food industry, individuals can make a difference. By developing more informed shopping techniques and becoming smarter grocery shoppers, we can pressure manufacturers and retailers to change. Actions can sometimes speak louder than words. Understand the difference between best before dates and expiration dates. Best before dates have nothing to do with food safety. A best before date tells you how long unopened food is at its freshest. After a best before date, food is usually still okay to eat. Expiry dates are different from best before dates and are only used on foods where it is very important that the nutrients be exactly correct, like baby formula and meal replacement drinks (e.g. Ensure or Boost). If a food has an expiry date on it that has passed, it should not be consumed. Purchase imperfect fruits and vegetables instead of avoiding them. Stores only stock aesthetically pleasing produce because consumers tend to avoid the blemished or bruised fruits and vegetables. This leaves farmers with excess produce that is unmarketable because it doesn’t fit our aesthetic standards. By purchasing the “ugly” produce, you’re telling the food industry that there is a market for imperfect fruits and vegetables. Don’t let yourself be discouraged from purchasing the last couple of fruits in a bin, or the last box of cereal on the shelf. Grocery stores will overstock their inventory so that their shelves are always full. This is because consumers tend to avoid products on shelves that are half full or in half empty bins. Choosing dented or damaged packaging can also keep it out of the landfill. Avoid buying large quantities of products you don’t use frequently, and avoid two for one sales if you know that you will not use that second brick of cheese. Start planning your meals and make grocery lists. If you plan your meals for the week, you can go to the grocery store and buy only what you need. This will help you to avoid overstocking your home with food you don’t need and in the end will spoil before you can get to it. For more ideas, follow Green Action Centre on social media for our weekly food waste reduction tips starting this April! The Pas Helping Hands 4H Club has been participating in the Food – Too Good To Waste challenge, this month. It has really opened up some of the Member’s eyes to food waste. This is a fantastic article and I will be sharing it with our Club. One of the mothers told me she was going to find ways to use up the crusts from their bread, now. I love the Food, Too Good to Waste challenge as it encourages waste audits, which are super eye-opening! As for bread crusts – my favourite thing to do with bread ends and bits is whiz them in the blender to make bread crumbs…for FREE. I can’t stand spending money on breadcrumbs! It doesn’t matter if the breads are all different types; they mix up together nicely. Reduce- Do not buy perishable food without a plan to use it within a short period of time. Recycle- Create broth from bones, vegetable peels and stems, and vegetables well past their prime. (Throw out mold) Keep a bag in the freezer to collect these until you have enough to cook up a pot. Stir fry some left-over vegetables. Recover- After you have created a broth, put the strained vegetable scraps in the compost. Thanks for your tips, Carolyn! Reducing food waste in the home can be pretty straightforward but it does require some changes in habits.